These bags are sturdy, understated, durable, and with the added (stated) advantage of also being waterproof. Like any bag, though, it’s only as good as how you pack it. No such problem with the smaller of the two though. Indeed, the Magma Riot is too small for most controllers, and is really best if you’re a DVS DJ who wants to carry control vinyl or CDs, an audio interface, and maybe a small mixer; or alternatively a couple of modular DJ controllers, a laptop, and some headphones too. 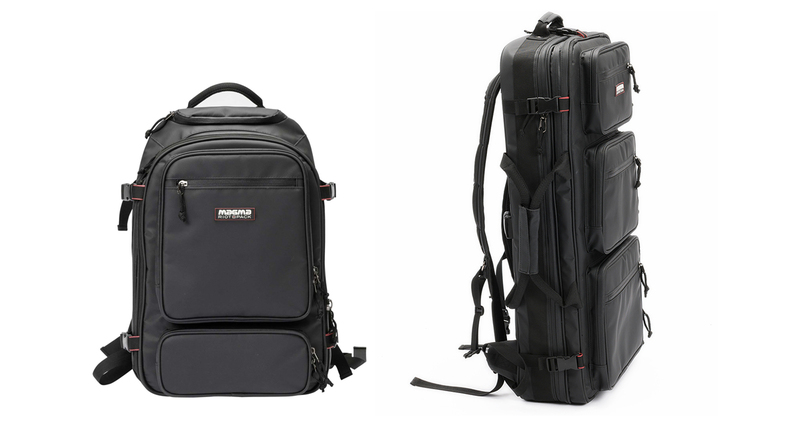 However, as long as you work out an efficient and sensible way to pack your bag, and choose one that fits your controller properly and snugly, most DJs in most cases – even those who travel a lot – could get away with carrying their gear in a Magma Riot Backpack, and avoid needing heavy, expensive-to-transport and far less practical traditional hard cases made of wood and metal. After all, digital DJ gear calls for practical, modern solutions, and the Magma Riot DJ Backpacks definitely provide that.